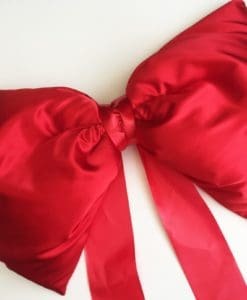 This Shoe Lace Style Satin Bow is padded and beautiful, one of our favourites. 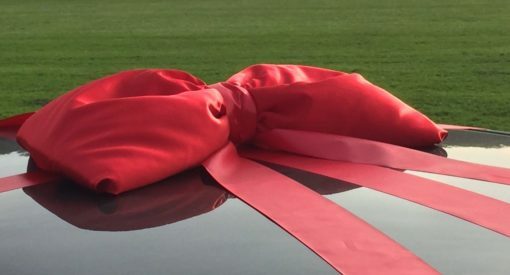 Made by our expert bow makers here in Essex, our padded shoelace style bow is a must have for a special new car. 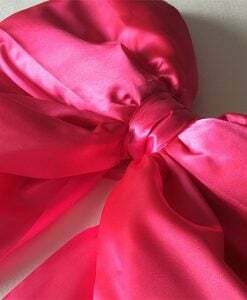 The fabric is soft and silky and available in a number of colours and most importantly arrives ready to use – no construction required. 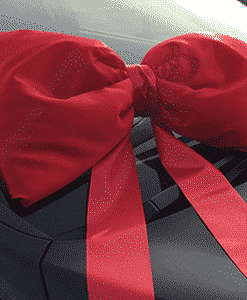 This Shoe Lace Style Satin Bow is straight out of the box – pop it straight onto your new car. Our big satin car bow is made to order with our beautiful, specially selected satin material. 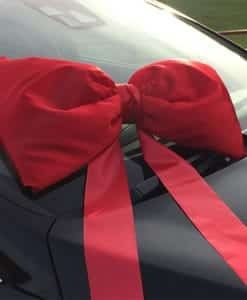 The car bow is expertly padded for extra WOW factor with a stunning centre knot and tails to drape over the car bonnet. 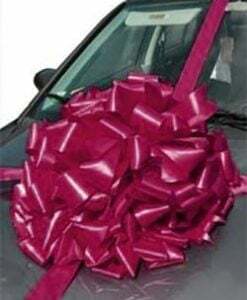 This car decoration can be placed on the bonnet, roof or windscreen. 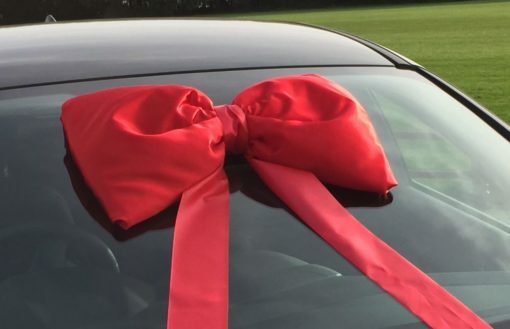 It’s fairly lightweight so easy to manoeuvre. 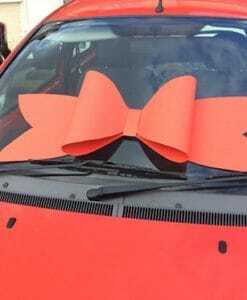 This beautiful Shoe Lace Style Satin Car Bow is made using strategic knots and ties, nothing sharp is included that can damage your vehicle. 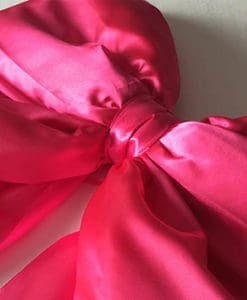 This bow style is similar to a stylish hand-tied bow tie. 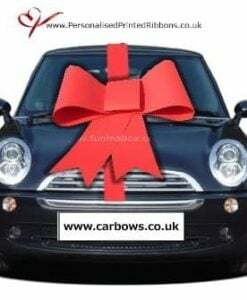 This arrives ready to use with ties on the reverse to attach to the car, hook under the window wipers is a great way to secure it. 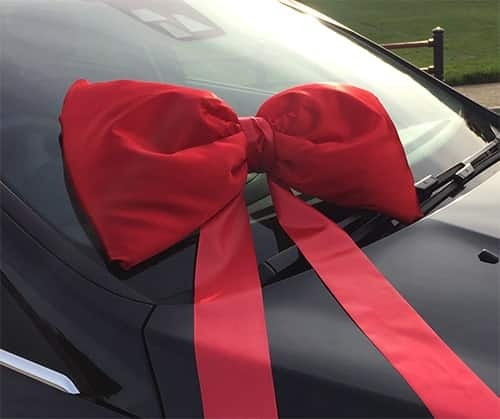 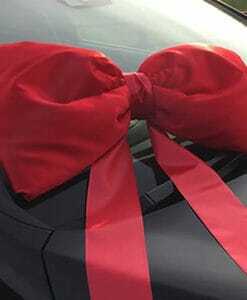 The Shoelace Style Satin Bow can also be tied to ribbon that you have used to wrap your car. 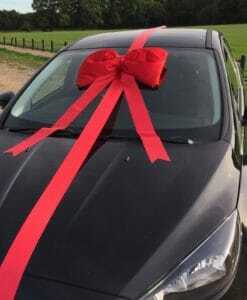 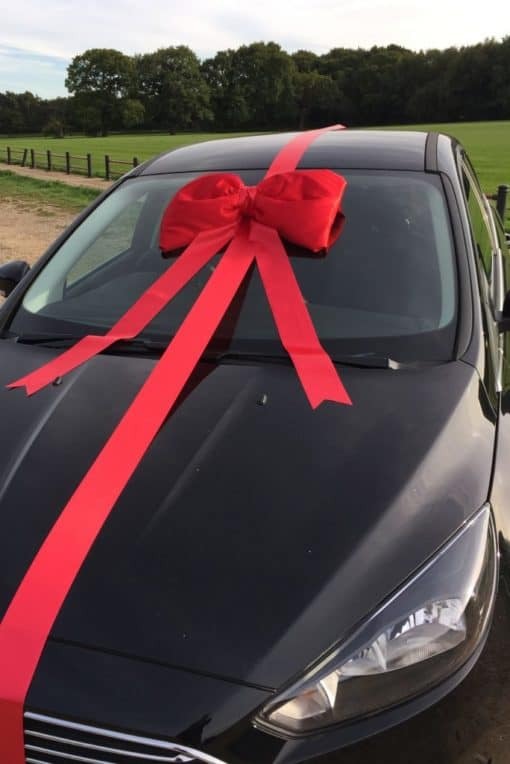 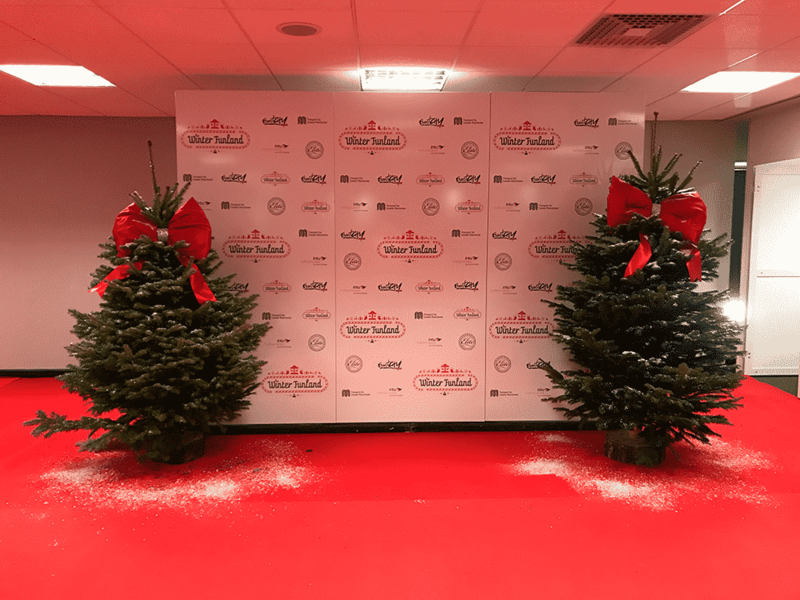 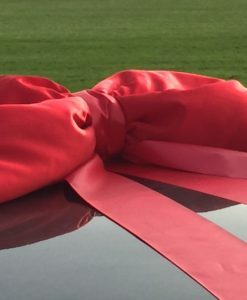 We can make this giant ribbon bow in sizes from 10cm to 1.5 metres, they are a very popular bow for so many uses including cars, boats, trucks & extra large gifts. 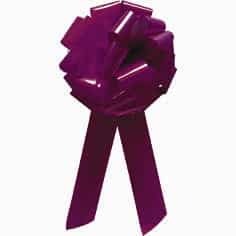 This is reusable if stored correctly. 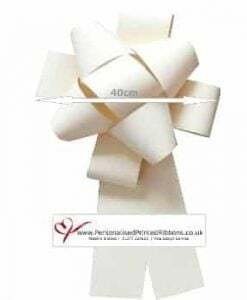 We also have ribbon available to wrap your gift to coordinate with your big ribbon bow. 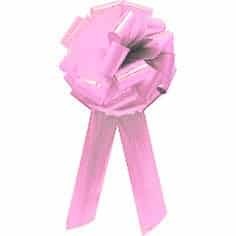 We recommend this item for indoor use only. 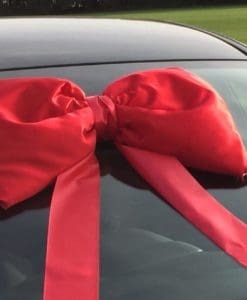 This large ribbon car bow can also be used again if stored correctly. 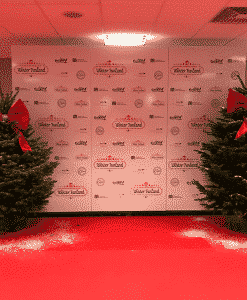 Ideal for car showrooms or family members. 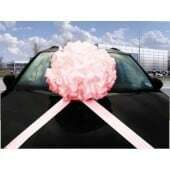 Our checkout will show you dates for delivery so you can choose the best option for your event. 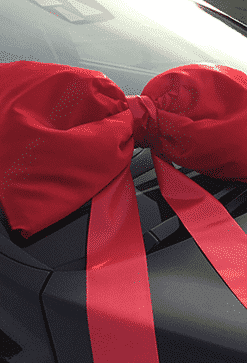 We do not accept returns on this product as it is made to order.